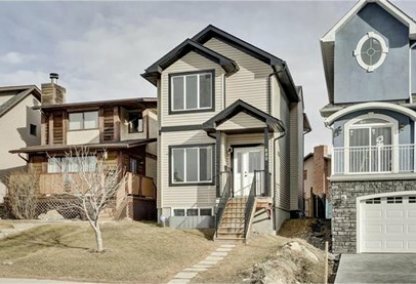 See today's Mayland Heights homes for sale in Calgary! Professionals or skilled workers who are keen on pursuing their careers or seeking employment in Calgary, Alberta, Canada, can easily be drawn in by the neighborhood of Mayland Heights. To learn more about Mayland Heights real estate for sale or to schedule a guided home or condo tour, connect with your Mayland Heights Calgary real estate team today. Mayland Heights housing market statistics: As of April 24, 2019 there are currently 20 properties for sale in Mayland Heights listed as active, with an average asking price of $402,844. The highest-priced property is $575,000; the lowest priced property can be purchased for $150,000. Mayland Heights neighbourhood listings have an average price of $373 per square foot, based on listings with 3.3 bedrooms, 2.0 baths, and 1,096 square feet of living space. Looking to sell or buy a home in Mayland Heights Calgary? Call Justin Havre at RE/MAX First - 403.217.0003, your neighbourhood Calgary real estate team. We are Mayland Heights real estate agents and experts on the Mayland Heights housing market in Calgary. For starters, the Mayland Heights community at the city's northeast zone has a twin industrial park, Mayland, located across the southern perimeter of local real estate. Additionally, two other industrial parks, Meridian and Franklin, are immediately east of Mayland Heights. The Calgary International Airport is likewise a short distance north of the neighbourhood. 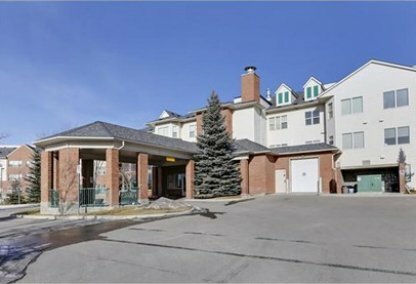 Even with the presence of many commercial establishments in the area, this locality is well known for superb views of the Rockies and Calgary downtown. The community was formerly known as the Crossroads, which was annexed to Calgary in 1910. Mayland Heights was only established as a community in 1962. There are two other neighborhoods in the Crossroads area: Belfast and Vista Heights, which is north of Mayland Heights. The entire area is notable for the Italian influences on its culture. Compared to some other Calgary neighborhoods, Mayland Heights real estate is still sparsely populated, with 5,706 residents, as per a 2006 head count. Nearly 30 percent of the homes in this neighborhood are apartments and condos, with rentals accounting for 42 percent of the total housing. Sales-listed multiplex homes with high rental potential typically carry price tags in the $700s up to the $900s. Green space dominates in the Mayland Heights neighbourhood, which has a sprinkling of small parks within its perimeter. Public and private schools are located close to Mayland Heights homes for sale, along with several churches, malls, and restaurants. A public golf course property and a kids' golf links are also within easy reach at the nearby Vista Heights neighborhood. Movement to and from the community is convenient via Barlow Trail (east), Memorial Drive (south), Deerfoot Trail (west), and Trans-Canada Highway (north). Looking to buy or sell a home in Mayland Heights Calgary? Let our team of expert real estate agents help you navigate the search for your next home and negotiate the sale of your existing home. As neighbourhood Mayland Heights real estate agents, we know the dynamics unique to the Mayland Heights real estate market. We'll help guide your search today! Contact Justin Havre at RE/MAX First - 403.217.0003 to find out more about buyer or seller representation. Selling your Mayland Heights home soon? Check out our free home evaluation, where you can view Calgary Homes Values online in minutes!